Congress, meanwhile, is gearing up for a new fight over U.S. arms-control policy, even as President Donald Trump’s administration intends to withdraw from the 1987 Intermediate-Range Nuclear Forces (INF) Treaty and has signaled lukewarm support for another even bigger nuclear treaty. After Vladimir Putin says a new Russian arsenal is aimed at countering U.S. threats, experts warn that a destabilizing race for new weapons — and new guidelines for using them — is upon us. Taken together, the developments mark a new phase in the fight between Moscow and Washington over the fate of their two nuclear arsenals, and highlight fears that the two countries are sliding into a new arms race. Beginning in 2014, the United States publicly accused Russia of violating the INF, which eliminated, among other things, an entire class of intermediate-range missiles. On November 30, Dan Coats, the U.S. director of national intelligence, for the first time revealed significantly more evidence from U.S. intelligence about the type of missile Russia tested and how it was tested. Coats said the Russia tested the missile from a fixed launcher and then a mobile launcher — one within the range banned by the INF treaty. 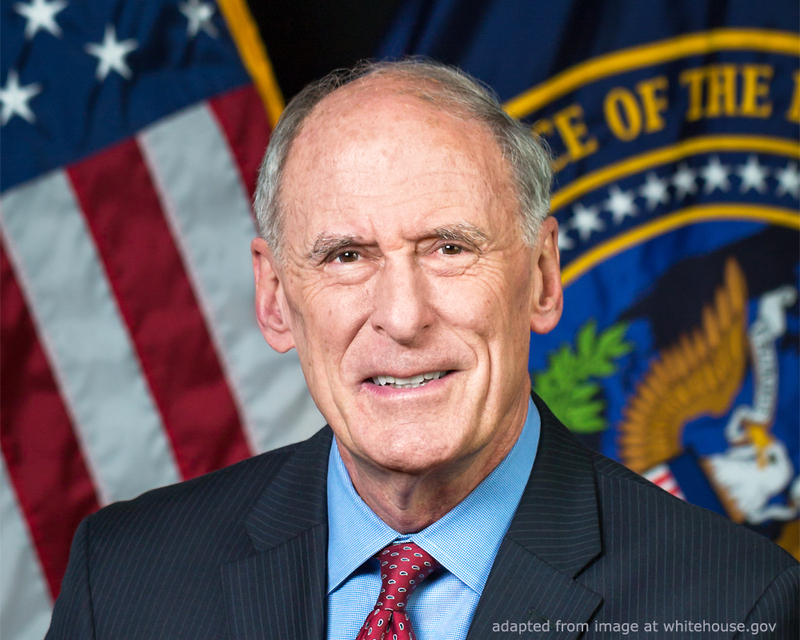 “By putting the two types of tests together, Russia was able to develop a missile that flies to the intermediate ranges prohibited by the INF Treaty and launches from a ground-mobile platform,” Coats said in a speech on November 30. It wasn’t clear why exactly Coats had decided to reveal more specific evidence now. The State Department did not respond to e-mails seeking comment. U.S. Defense Secretary Jim Mattis echoed the tough rhetoric toward Moscow, saying the Kremlin has undermined trust on the issue of missile treaties. 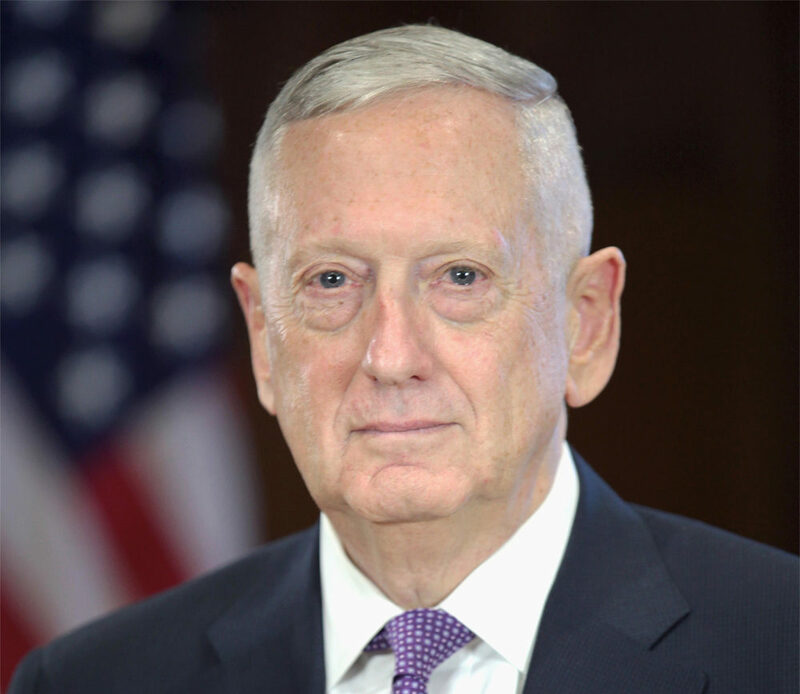 “We are dealing with someone that we simply cannot trust,” Mattis said during a speech at the Reagan National Defense Forum in California. “There is no doubt the relationship has worsened. “We are dealing with Putin’s duplicitous violation of the INF Treaty,” Mattis said. Coats’ announcement came as he headed to Europe to brief NATO allies on the U.S decision to withdraw from the INF. NATO foreign ministers, meeting in Brussels, are expected on December 4 to announce a stronger condemnation of Russia’s alleged violations — and possibly a stronger endorsement of the U.S. evidence of the violation. Two days earlier, however, Dutch ministers of defense and foreign affairs said in a letter to Dutch lawmakers that the Netherlands had obtained proof of the Russian missile violation. “The Netherlands can independently confirm that Russia has developed and is currently introducing a ground-based cruise weapon,” said the letter, published on the Dutch parliament’s website. There was no independent confirmation of the report, but if true it would be first time that a NATO ally has publicly corroborated the U.S. allegations. And on November 30, the same day as Coats’ announcement, the German news magazine Der Spiegel, citing unnamed sources, said that U.S. officials had shared raw intelligence about the Russian missile. According to the magazine, U.S. officials have not only shared satellite imagery of a flight of the banned Russian missile, but also evidence of the Russian companies and entities involved in the design and manufacture of the missile and its launchers. In Congress, meanwhile, attitudes toward Moscow have hardened markedly since Russia’s annexation of Ukraine’s Crimea Peninsula in 2014 and the conclusions of the U.S. intelligence community that the Kremlin interfered in the 2016 presidential election. 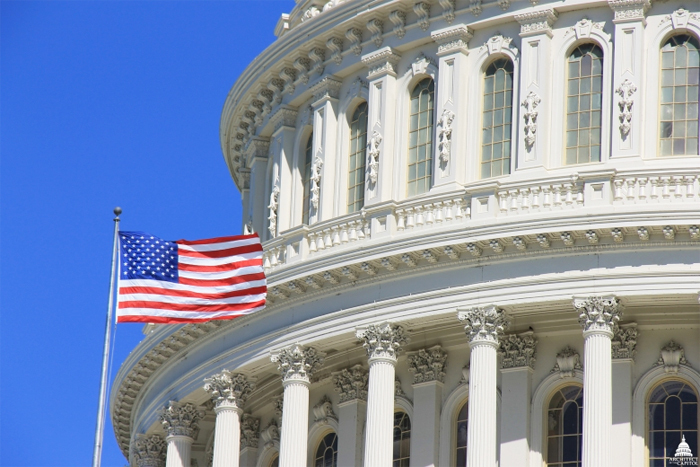 Last year, lawmakers included several provisions in the annual defense-policy legislation aimed at forcing Russia back into compliance with the INF. 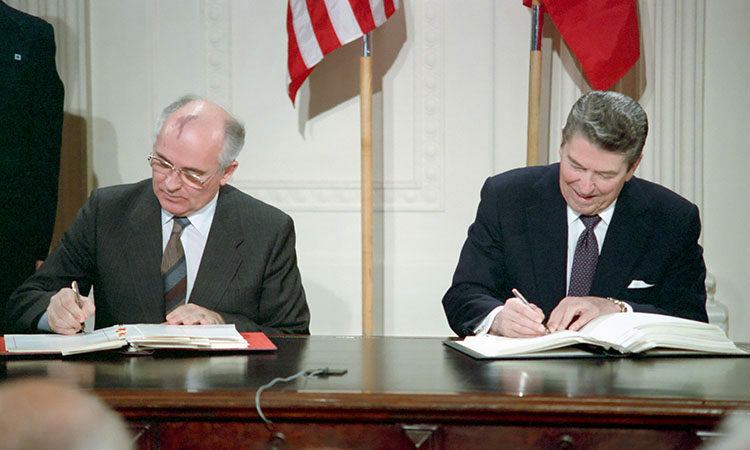 One included the development of a new ground-launched cruise missile that would ultimately be deployed in Europe, similar to what happened in the mid-1980s, in the years before the INF Treaty was signed. On November 29, a group of several Senate Democrats, and the chamber’s only Independent, introduced legislation that would block funding of such a missile unless Trump administration officials met certain conditions, including identifying where such missiles would be deployed in the first place. “Congress must not fund new ground-launched or ballistic missiles that will fuel a dangerous arms race across the globe,” one of the legislation’s co-sponsors, Senator Jeff Merkley (Democrat-Oregon), said in a statement. Republican Senator Tom Cotton of Arkansas, meanwhile, joined with Republican congresswoman Liz Cheney in linking the fate of the INF to that of the New START treaty, a larger, more comprehensive deal that limits the overall size of the U.S. and Russian nuclear stockpiles. New START is due to expire in 2021, though there is a provision that allows for it to be extended by mutual agreement. In a joint statement, Cotton and Cheney called New START deeply flawed and called for cutting off all funding for U.S. compliance unless the Trump administrations comes up with a better way to ensure Russia wasn’t cheating on the treaty. While Republicans continue to control the Senate, ensuring that Democratic-backed legislation will have an uphill battle to passage, the Democrats will take control of the House of Representatives, and much of its agenda, in January. In an interview with the Arms Control Association, a Washington think tank, Adam Smith, the incoming chairman of the House Armed Services Committee, said he opposed the Trump administration’s withdrawal from the INF, as well as another proposal for a new series of small, low-yield nuclear weapons. “I think we would benefit from greater dialogue with Russia. It’s actually something that I do agree with the president on. I don’t agree necessarily agree with the way he’s handled it, but as two of the greatest military powers, I think the whole world would benefit from us having more robust discussions and negotiations with the Russians on all of these issues,” Smith said. 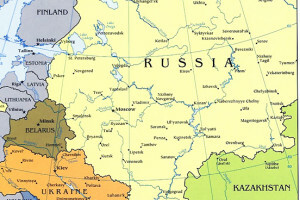 In Moscow, Russian officials have reacted sternly to the Trump withdrawal from the INF and signaled that Moscow would consider deploying its own missile on the territory of allies, such as Belarus, if the United States and NATO move to deploy similar weapons in Europe. “We know all our weapons perfectly, and we know that none of them violates our treaty obligations, as we continue to insist,” Deputy Foreign Minister Sergei Ryabkov told reporters in Moscow November 26. 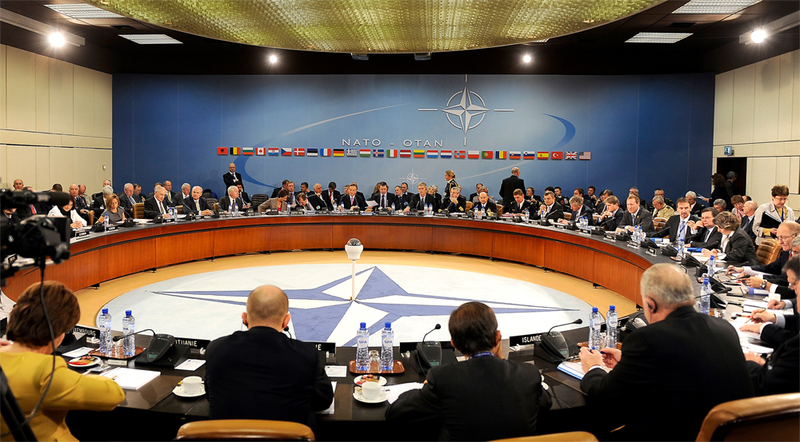 Washington’s European allies, meanwhile, have voiced growing concerns about the U.S. nuclear plans, even as many are troubled by Russia’s increasingly belligerent military actions in Ukraine and along the borders of some NATO member states. Pavel Podvig, a Geneva-based arms researcher, said there were still possibilities to keep the INF from falling apart entirely.